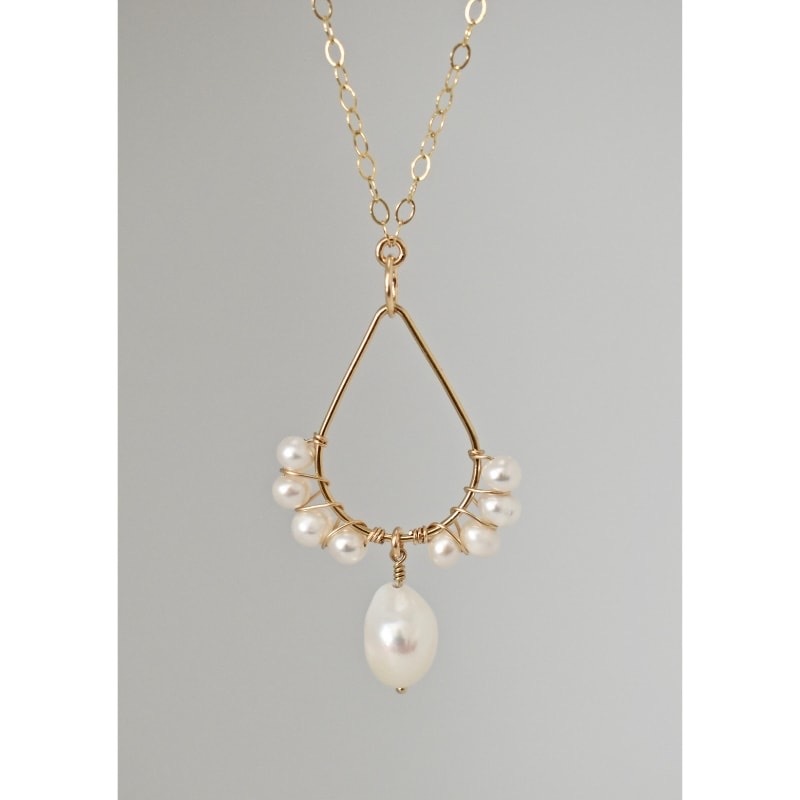 The FIJI Necklace with hand-wired pearls and 14k gold-filled materials is a timeless gold necklace to wear as a standalone piece of jewelry or layered with other Chelsea Bond Jewelry gold necklaces. 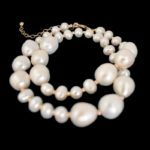 The FIJI Necklace can be created with off white, peacock or olive colored freshwater pearls. Each necklace is one-of-kind and makes a beautiful jewelry gift for yourself or a loved one.